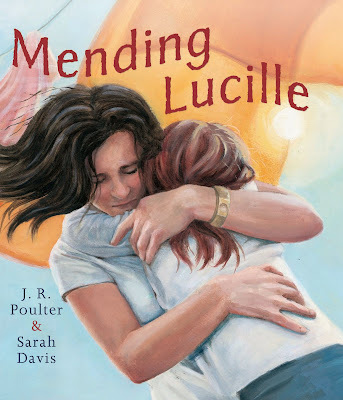 It is official, "Mending Lucille" has been nominated for the Family Therapists' Award and the Crichton Award for 2009! Being Nominated for the Family Therapists Award is very meaningful for Sarah and myself . It recognises the contribution our book has made in tackling a very sensitive topic, the loss of a parent or central carer, and in making available to therapists, counselors, teachers and others involved with children in such a traumatic loss, a resource that is able to reach and help the child at their point of need. Adults too have responded deeply to the book and have found it therapeutic in helping them deal with such a loss, even though years in their past. I am so thrilled Lothian/Hachette gave me the opportunity search for an illustrator and that I discovered Sarah on the internet! Despite having no money upfront to pay Sarah for a sample illustration, she agreed to look at the manuscript. Sarah rang me straight back after reading it. She had spontaneously fallen in love with the story and told me "I HAVE to do it!" - the rest, as they say, is history! Thank you Sarah for 'seeing' what the manuscript had to say!